It has been quiet around these parts lately. A part of me feels like I should apologize for that, but I won't. I've honestly needed some time for myself. I've needed time away to think... to cry... to unplug. I know that I am still healing from my December miscarriage. I've learned to accept the fact that in a way, I will always be healing. I've also learned to accept the fact that no one, except someone who has gone through a similar loss, will fully understand how I've been feeling. Sadly, that means that even Adam -- my other half, my favorite person in the whole world -- just doesn't quite understand it. I haven't blogged because I'm not sure what I have to say. To talk about it seems redundant, hurtful, and unnecessary. To not blog about it seems disingenuous. 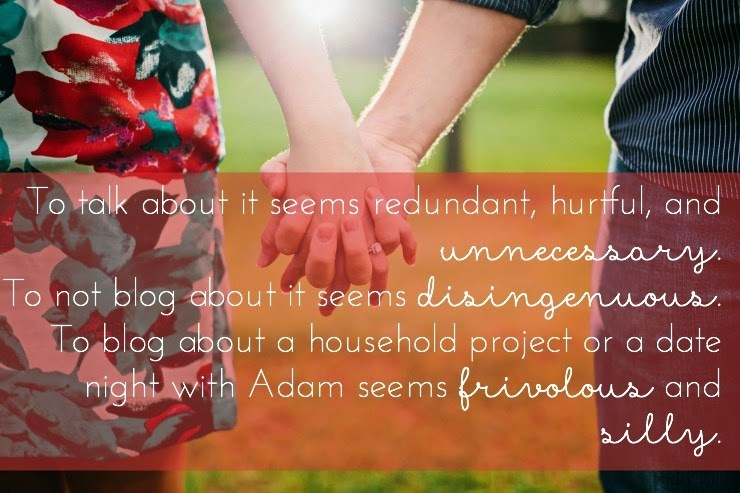 To blog about a household project or a date night with Adam seems frivolous and silly. In truth, life has gone on somewhat normally. I still wake up and go to work. Adam and I still have date nights and we continue to work on #FlorkenFirstHome. We sometimes hang out with friends. We still laugh, and yes... I still cry. Some days have been good. Others have bordered on great. But then, a hard day will come along and drag me down to the depths of despair I felt when it all began. In truth, I haven't completely sorted out my emotional state at the moment and I feel like perhaps that is best done quietly. At home. With Adam. In short, I'm not saying goodbye to blogging. I'm just saying that I still need some time. One day, hopefully soon, I'll wake up with a post that seems too genuine not to share. And somehow, despite my shifting moods or my sadness, I'll feel compelled to come back to this space I love and share it with you all. When that happens, it will be a big step forward for me. I'm honestly looking forward to it. So here's to moving forward... eventually. Still praying for you and thinking about you friend!! I know this is hard and it is such a lonely feeling but know we are thinking about you and praying for you. Take care of yourself and take your time healing. Take as much time as you need. Sending you love and hoping you find some comfort. thinking of you and glad you are doing what you need to do to take care of yourself! Take all the time you need. I know how you feel and just know that it does get easier with time and that sometimes it comes in waves that eventually get farther and farther apart. Take all the time you need, Kate! Everyone grieves differently. I'll be thinking of you. Take your time. I am always for you. Many prayers friend. Take your time and we'll be here when you're ready to come back. Thinking about you sweet friend! Taking time for yourself is so important after a loss. Take all the time you need. I hope you don't mind me suggesting, but maybe you could find a therapist that specializes in this sort of thing. I've had bouts of depression myself, and it's nothing to be ashamed of. Thank you for sharing your thoughts with us. We're here for you. Sorry for the loss. Take as much time as you need to heal. It's good of you to be honest and take time away. Esp in a world where there is the tendency and pressure to over-share. Be private because that's the world we lived in before social media and take care of you. Hugs from Thailand. Hugs sweet girl, only hugs. so sorry that you are going through this and take all the time you need. if blogging helps, do it. and if not, then don't. your number one priority is taking care of yourself. hope you continue to heal and feel better. You are absolutely right - no one can understand what this is like unless they've experienced the loss themselves. 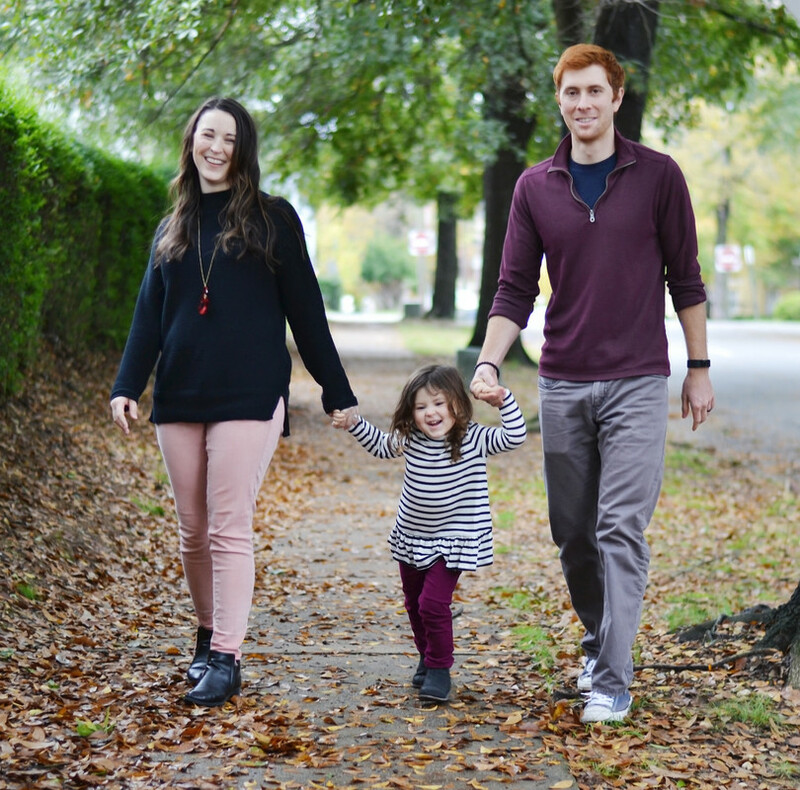 Ours happened in November of last year and I just got up the courage to share what we've been going through this week. I agree with Jackie - if it helps to write/blog, do it. It not, do what you need to do to heal. Praying for comfort and strength! I will be here when you get back and you both are in my prayers!